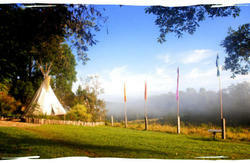 We have a range of accommodation from dorms and double rooms to our yurts, canvas lodges and iconic tepee. Rooms have fans for the summer and heaters for winter and include all your linen. We have a communal kitchen and TV room, a fire pit for toasting your marshmallows and a tropical outdoor swimming pool heated by the sun - so get ready for a chilly wake up dip on a winters morning! A great way to start the day. Hammocks hide in trees and chill out areas around the property giving you a place to relax and let all of your worries drift off to the mountains in the distance. Nimbin Rox is also a photographer's dream, with misty mountains, the majestic Nimbin Rock, wallabies, echidnas, friendly kookaburras and - if you're lucky - our resident elusive platypus. Internet and Wi-Fi is available and if you need a few things from town we have a shuttle that runs twice a day (please note due to road closures we do not run the shuttle over the Mardi Grass festival) or you can walk to town in approx 15mins. Once you're re-energised our friendly staff can book you your next bed, bus, tour or adventure. Life's more than a beach so come and discover the Nimbin Rox YHA for yourself. 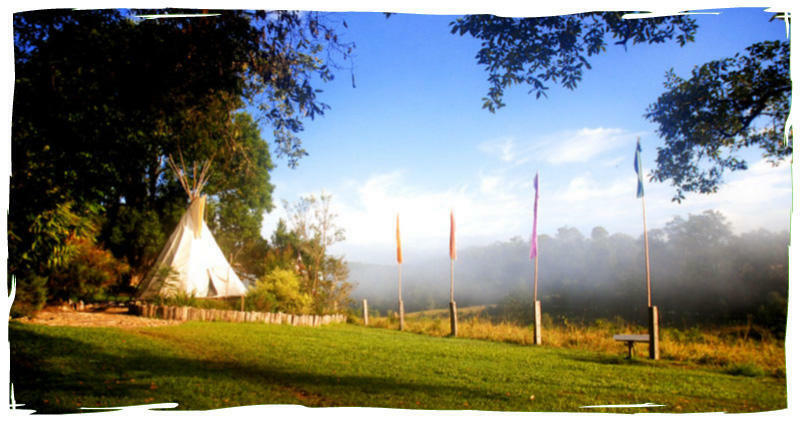 Nimbin Rox YHA is also happy to accommodate groups and works well for photography groups, yoga retreats, family reunions even small weddings. Please chat to our groups co-ordinator if this interests you. Other features include: Laundry, book exchange, daily activities, iPod connection areas, vending/snack machine and free herbs in the kitchen (seasonal). Children are welcome but must be supervised whilst on the property. We're 1.5km to Nimbin village and are happy to collect you from the transit bus stop. From Byron you can catch the Nimbin/Byron shuttle, the Happy Coach, Jim's Alternative Adventures or the Grass Hopper Eco tour. Smile at the drivers and ask to be taken direct to the Rox!